In education circles, there is a lot of talk about "Grit" and having a "Growth Mindset" these days. There are a lot of admistrators and teachers convinced that their kids need to have more "grit." 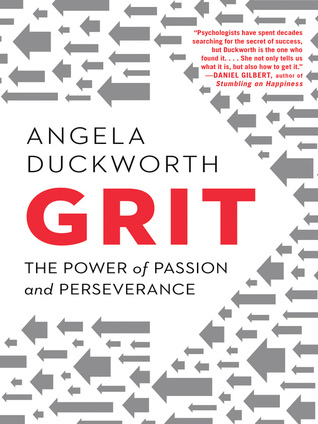 Angela Duckworth, the main proponent of “Grit," defines grit as "passion and perseverance for very long term goals." In other words, grit is passion and perseverance over a long period of time to achieve one’s goals. According to this definition, grit is specifically related to the achievement of goals. During my presentation, "The Power of One," I sometimes talk about some of the trauma of my past, and assert, "sometimes kids don't need grit; they need healing." Well, recently, a very nice principal pulled me aside and respectfully challenged my thinking about grit. He said, "Manny, it takes grit to heal.” His statement challenged me to clarify my thinking about the relationship between grit and healing. Here are my brief thoughts on the matter. While I certainly agree that in order to achieve goals in school, work and life, students must develop "grit" (passion and perseverance over the long haul), I am convinced that several students have been so traumatized, victimized, and hurt that it is impossible for them to think about goals related to school, work, or life. For many of them, it is nearly impossible for them to even fathom “the long haul.” I used to really believe that I would be dead or in jail before I was 18 years old. Many students are just trying make it through the night and don’t even have the capacity to see beyond their current circumstances. Many of them are trying to figure out how they are going to make it through the sexual abuse they are about to experience tonight. Many of them are grieving over the loss of their best friend who just committed suicide yesterday. Some can’t get past the trauma of seeing their mother’s brains blown out with a shotgun and having to clean the brain and skull fragments off of their faces while cradling their dead mother in their arms. I could go on and on with stories like this. For those kids, I am convinced that it is not grit that they need, but healing (through therapy or counseling or journaling or some other means of support). I believe it is therapy or counseling that helps traumatized people heal enough to even begin setting goals and dreaming big. It is counseling and therapy that gives them the skills to persevere, and frees them to find their passions. It is healing that frees people to develop grit. So, my contention is that it does not “ take grit to heal,” but rather it takes “healing (or therapy) to have grit,” or, put another way, “grit is improbable without healing.” I believe healing should/must precede grit for many traumatized, victimized children. To be sure, I have certainly had to have grit to overcome many of the obstacles of my past to achieve the level of success I now enjoy. I have had to have grit to become the first person in my family to graduate from high school. I had to have grit to graduate from college and graduate school. I had to have grit to learn how to fly planes. I have had to have grit to become the faithful husband and loving father I am today. I have had to have grit to grow my education consulting/speaking business. From my experience, however, if it had not been for God and loving adults (pastors, teachers, counselors, coaches) who came into my life to help me heal from my hurts, I have no doubt that I would have been dead or in jail. My healing PRECEDED my grit. My healing freed me to have grit. My healing freed me to dream big and and set goals, and to develop the passion and perseverance to achieve those goals and dreams. So yes, while I have no doubt that grit is an indispensable part of achievement and personal growth, healing, in my opinion, is the foundation upon which grit is built. So, I end where I began: Some students don't need grit; they need healing.